Filtration Groups 15 gram standard duty fiberglass paint arrestor filter is the economical filter for your finishing operation. With a bonded glass structure and very little fiber break away its the perfect alternative for your paint booth exhaust filter needs.Low cost and high quality make the best combination for a lower volume shop. It still meets the EPA's 6-H rule. Q: What is the thickness of this material? A: It is 2 inches thick. 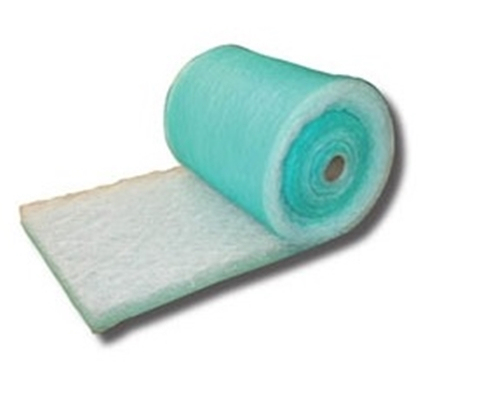 A: The 15 gram fiberglass paint arrestor filter media is approximately 2" thick.